In 2011, the San Francisco 49ers hosted the Oakland Raiders in a preseason matchup that would become a seminal moment for fan violence. During the game, seventy fans were ejected from the stadium, one person was beaten unconscious in the men's room, and two men were shot in the parking lot after the game. This is hardly an isolated incident. At any given game, fans get kicked out and arrested for acting out. In the spring of 2014 alone, soccer headlines screamed of a fan killed in Brazil, a supporter who punched a police horse in England, and three fans shot in Italy. But why do fans resort to such violence? What drives them to abandon societal norms and act out in unimaginable ways? 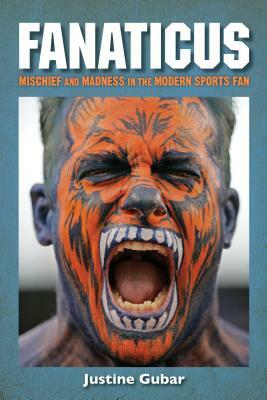 Fanaticus: Mischief and Madness in the Modern Sports Fan explores the roots of extreme fanaticism, from organized thuggery to digital hate speech. Justine Gubar divulges outrageous and often shocking incidents, including first-hand accounts from both the transgressors and victims. Gubar reaches back into ancient times, providing a history of fan violence throughout the ages before delving into events of misbehavior, violence, and hatred in the United States and around the world. She revisits several notorious riots and tragedies throughout the United States, Europe, Asia, and Latin America in order to understand mayhem on a global scale. In addition, Gubar investigates the sports leagues and the security and beverage industries so as to explain the roots of fan misbehavior and to dispel common myths that are often invoked to understand the madness. Featuring original interviews with European football hooligans, rioting college students, stadium security experts, and many others, Fanaticus provides a rare window into what drives human behavior. Together, these voices create the fullest picture of modern fan violence ever written. Justine Gubar is a four-time Emmy award-winning investigative journalist. For almost two decades she has worked as a television producer for ESPN, including for the programs "Outside the Lines" and "SportsCenter." Gubar has covered major sporting events throughout her career, such as NBA, MLB, and NFL playoffs, the Final Four, and the Olympics.